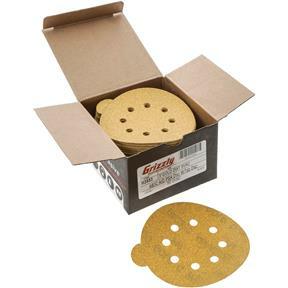 5" A/O Sanding Disc, 80-C Grit PSA 8 Hole, 50 pk. 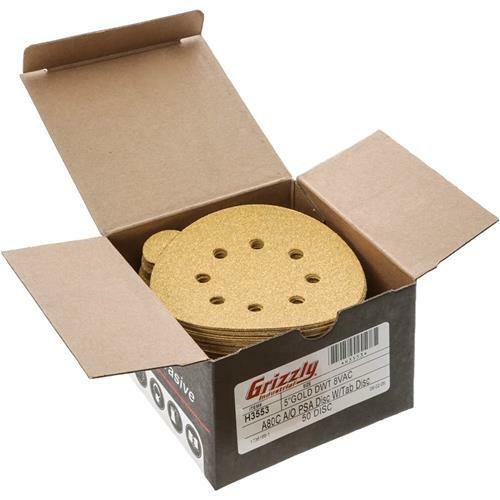 Grizzly H3553 - 5" A/O Sanding Disc, 80-C Grit PSA 8 Hole, 50 pk. These 5" 80 Grit sanding discs come pre-stamped pressure sensitive adhesive discs have a 8 hole dust collection pattern. Comes in a pack of 50. This box may last me for a longtime. So far so good, thanks.